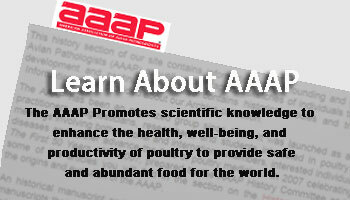 The AAAP promotes scientific knowledge to enhance the health, well-being, and productivity of poultry to provide safe and abundant food for the world. AAAP will be the premier organization that advances science-based knowledge, expertise, and education on poultry health, welfare, and food safety to provide member value and stakeholder trust. AAAP facilitates member collaboration to advance science-based knowledge, expertise, and education on poultry health, welfare, and food safety. AAAP has continued for over 57 years to enhance scientific knowledge and promote avian health through its many educational programs, outreach and publications. Most of what AAAP does is made possible through a network of dedicated volunteers. We invite you to become a member and become involved. The AAAP publishes the gold standard journal, Avian Diseases four times a year, whose mission is to enhance scientific knowledge and promote avian health. AAAP members have direct online access to all issues from 1957 to current. Print copies are available for an additional fee. The AAAP provides a premier scientific program each year at its annual meeting. Join us this year in Washington D.C. 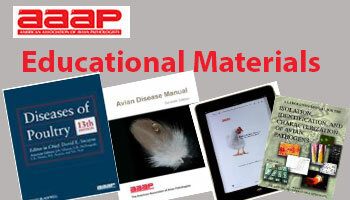 The AAAP publishes a number of educational publications for the Avian professional. Some of the titles are as follows: Avian Disease Manual, Avian Histopathology, A Practical Guide for Managing Risk in Poultry Production, Isolation and Identification Characteristics of Avian Pathogens, Tumor Diagnosis Manual, and over 30 Slide Study Sets. The AAAP provides Avian Influenza and Diseases of Poultry to you at a substantial discount (25%) through Wiley Publishing. AAAP members receive a discount on educational materials purchased online. The AAAP works for you to disseminate information relating to the diagnosis of poultry and avian diseases. The AAAP is recognized as an organization who can speak to the public, government and other organizations as an authority on avian medicine. The AAAP works with AVMA as a Constituent Allied Veterinary Organization advocating for policies on the federal and state level that impact you, your profession and the poultry profession. 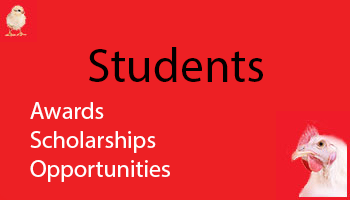 The AAAP provides opportunities for young people to explore avian medicine as a career through preceptorships, scholarships and awards. 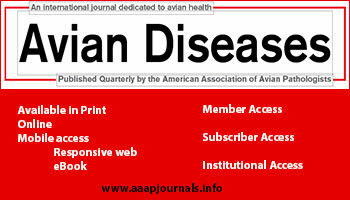 AAAP Members do not pay page charges when publishing articles in Avian Diseases.